Select the “Read More” button to view photographs from the Jennifer Crescuillo Presentation on January 25, 2016. 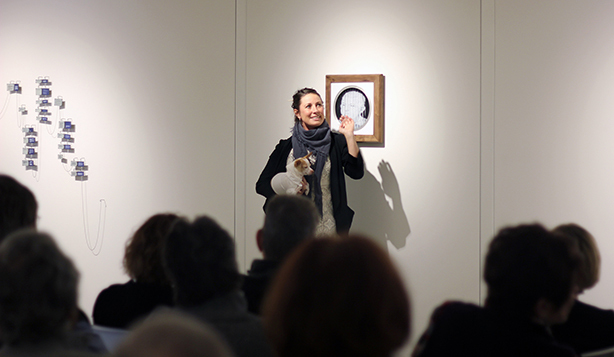 We enjoyed the presentation from artist Charlotte Potter at the Lisa Sette Gallery on Saturday, January 9. Select the “Read More” button to view photographs from this event. Select the “Read More” button to view photographs from Latchezar Boyadjiev’s presentation on December 7, 2015. Select the “Read More” button to view photographs of Robin & Julia Roberts.